It books is impossible to arrive at a correct understanding of Jeremiah and Lamentations without an awareness of the historical context and political climate of Judah in the times these books were written. They reveal the close tie between a people’s spiritual and political conditions. Following God ends in blessing, while forsaking Him leads to disaster, both at an individual and a national level. Although most modern readers have no experience living in a theocracy, the theme of putting God above politics is just as important today as it was thousands of years ago. The books of Jeremiah and Lamentations help us center ourselves in God’s will rather than our own. They call us towards the true righteousness and abundant life which only God can give. These writings are, therefore, extremely useful in keeping us focused on God and His will for us. 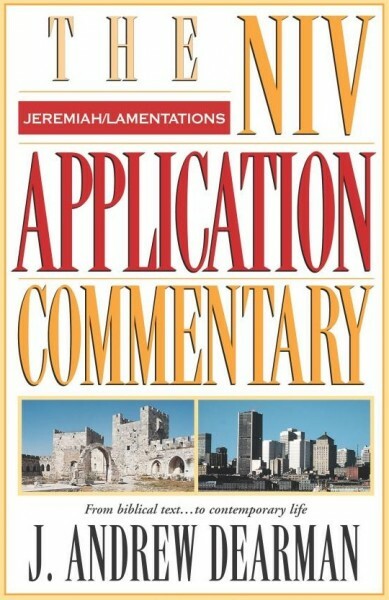 As you read through these emotionally powerful books, this NIV Application Commentary volume by author J. Andrew Dearman will connect their original meanings with practical, real-life application.